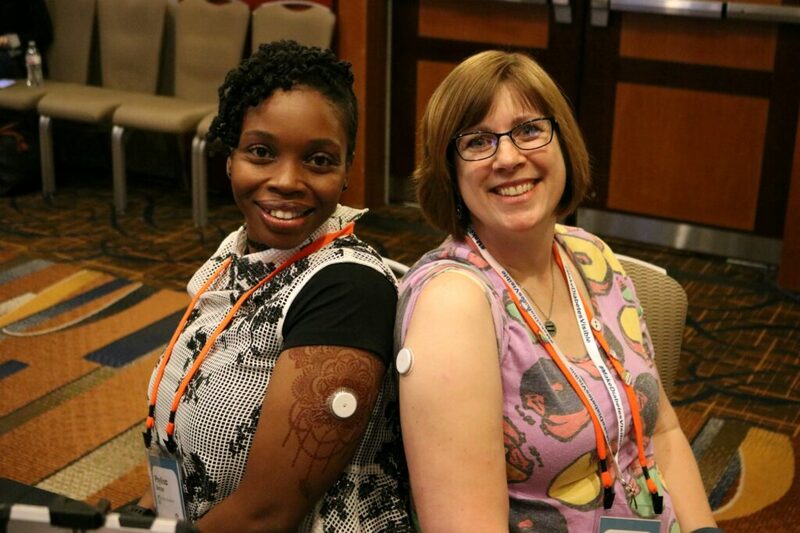 My dear friend Sue (at Diabetes Ramblings) and I were recently together at HealtheVoices18 and discovered that we both were using the Freestyle Libre. We teamed up to give you our opinions on the device. How long have you been using the Freestyle Libre? What do you like about the Freestyle Libre? Me:I like the graph charts the most as it gives me detailed information about my blood sugars. Sue: Having the graphs allow me to see how my body reacts to different foods and activities over time. It also helps me understand what my glucose levels do during times when I would be unable to poke my finger. How has the Libre affected your diabetes management? Sue: As a busy mom and teacher, it’s hard to remember to check my numbers. I love being able to check my blood sugar without the time and hassle of a traditional glucose meter. I can check while teaching without missing a beat. The graphs also help me understand how my body reacts to different foods and activities. Me: The libre has had a positive impact on my diabetes management. 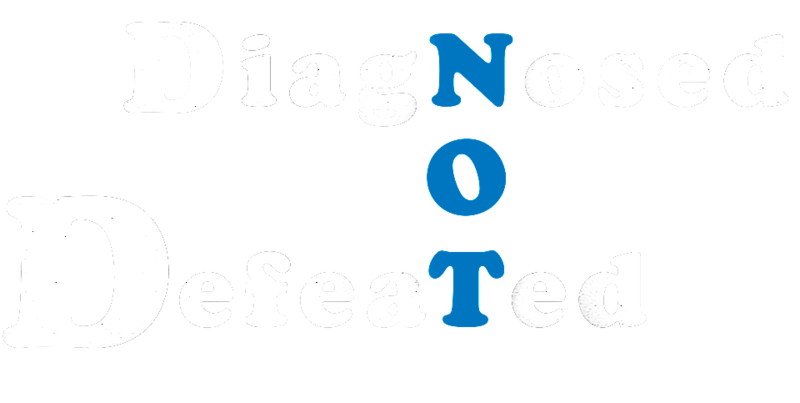 It allows me to be more in control of my diabetes management and it gives me the opportunity to check my blood sugar multiple times a day, if I want, and not have to worry about the cost of test strips. How do you explain “that thing on your arm” when asked? Sue: If I’m in a silly mood, I’ll either say it’s a popsocket or that I’m part cyborg. I love seeing their reactions! Most of the time, though, I’ll explain that it’s a glucose sensor and show them how it transmits to the receiver. When my young students ask, I explain that our bodies turn food into a special type of sugar for energy and that sometimes my body doesn’t use that sugar correctly. The Libre helps me determine how much sugar is in my blood. 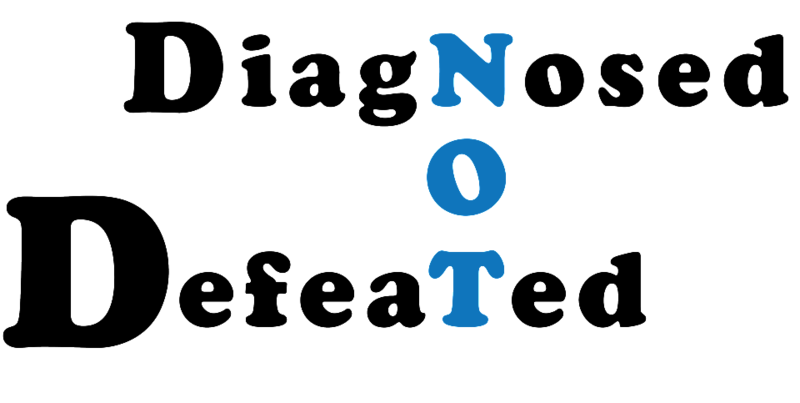 Me: Sometimes I say, it’s related to diabetes. Other times I say, it’s a device that communicates with my pancreas. It all depends on how I’m feeling in the moment and who’s asking. I once had a six-year old kid ask and I told her that it was my way of checking in with my pancreas, an organ in my body that isn’t working properly. This device helps me feel like a superhero. Any comments to others who are interested in trying it? Me: I would check with your insurance company and see if it’s covered fully or how much they will cover. Make sure it is within your budget and it is, then I strongly recommend it. I wouldn’t throw away your glucometers, however. You will need them in between sensors and you may want to compare readings from time to time. Sue: If it’s within your budget, I’d suggest giving it a go. 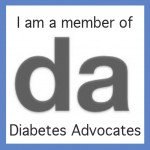 The graphs and ability to test multiple times per day have given me great insight into my own diabetes. Thankfully the Libre also has a spot for test strips so you can test with a finger stick if you don’t feel the same as the reader reports. If you could suggest any changes to Abbott about the Libre, what would they be? Sue: The adhesive area needs to be a little stronger. My current sensor is loose on one side, requiring the use medical tape to hold it down. Me: I would extend the adhesive area because I’ve had two sensors come off because the adhesive stop sticking. I think a wider area would help.